Bhutan provides a stunning array of photographic opportunities- mountainous landscapes, ancient temples and monasteries, lively, colourful festivals, a timeless Buddhist culture and fascinating people. The Bhutan Ultimate Photography Tour is a suggested itinerary designed to make the most of these incredible features. Taking place in early October, it coincides with the Autumn festival season providing a chance to capture images of the grandest of Bhutan’s festivals, the spectacular Thimphu Tsechu and the more intimate Tangbi Mani Festival in a rural setting near Bhutan’s spiritual heartland, Bumthang. 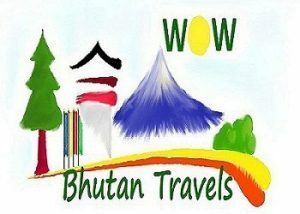 This tour also visits remote villages, ancient palaces and fortresses, farm houses, temples and sacred sites throughout Bhutan’s western and central valleys. Featuring a fascinating display of dances, rituals, colourful costumes, and locals gathered in celebration, Bhutan festivals provide an excellent subject for photography. Festivals occur throughout the year, and can easily be incorporated into an itinerary. Please visit our Festivals section for more suggested itineraries. Photograph the colourful rituals and dances of the spectacular Thimphu Tsechu. Experience the intimate Tangbi Mani Festival located near Bhutan’s spiritual heartland, Bumthang. Enjoy a morning of sightseeing, including a visit to 12th century Changangkha Temple, the Zilukha Nunnery and the National Memorial Chorten depicting the Buddhist faith in the form of paintings and statues. This temple was first initiated by the Third King as a protection from the negative elements of modernisation, and as a monument to world peace. The Royal Queen Mother completed it as a memorial stupa for the Third King who passed away in 1972. In the afternoon return to Tashichhodzong to further experience the colourful events of the Thimphu festival. Overnight at your hotel in Thimphu. Punakha was the ancient capital of Bhutan. On arrival, visit Punakha Dzong, the “Palace of Great Happiness” built in 1637 by the Shabdrung, the ‘Unifier of Bhutan’. It is situated at the confluence of the Mo Chu and Pho Chu (Mother and Father Rivers) and is the winter headquarters of the Je Khenpo and hundreds of monks who move en masse from Thimphu to this warmer location. The three story main temple of the Punakha Dzong is a breathtaking example of traditional architecture with four intricately embossed entrance pillars crafted from cypress and decorated in gold and silver. The inside walls are covered with elaborate murals depicting the teaching of the Buddha. It was here in 1907 that Bhutan’s first king was crowned. After breakfast enjoy a short hike through ricefields up to Khamsum Yuelley Namgyal Chorten, built by her majesty the queen Ashi Tshering Yangdon Wangchuk. Perched high on a hill on the bank of the river, the Chorten houses paintings belonging to Nyingmapa Traditions. Take a picnic lunch on a picturesque riverside before an excursion to visit 15th century Chimi Lhakhang, temple of Drukpa Kuenly who is also known as the Divine Madman. He inherited the Divine Madman title since he revolted against the orthodox Buddhism of his time. He is considered a symbol of fertility and many childless couples go to his temple for blessing. Overnight at your hotel in Punakha/ Wangduephodrang. Transfer to Trongsa (6 hrs). Drive via the bustling market town of Wangduephodrang. Drive up a winding mountain road through oak and rhododendron forests and over the Pele La pass (3,420m) on the Black Mountain range towards Trongsa. This pass is traditionally considered the boundary between western and central Bhutan. Further down the road stop to visit beautiful Chendebji Chorten. It is built in a style unusual for Bhutan, with painted eyes facing the four directions. The imposing Trongsa Dzong can be viewed across a deep canyon to signal your approach to the town around a curving road. On arrival, enjoy some relaxation time before visiting Trongsa Dzong, a masterpiece of Bhutanese architecture. Trongsa is the largest Dzong in Bhutan. The foundations of Trongsa Dzong were laid in the 16th Century and there are now 22 temples in the complex. The view from the Dzong is spectacular and one can see across the impressive landscape for many miles. In the old days, it was the vigilance point for both the eastern and western trade routes, thus a strategically important Dzong. Overnight at your hotel in Trongsa. Following breakfast visit the Ta Dzong museum located on the hill overlooking the Trongsa Dzong. The museums main focus is on the history of the monarchy, and is dedicated to the coronation and centenary celebrations of the Bhutanese monarchy with very rare and precious artefacts on display. These include statues built in the 17th century, to the first King’s Namza (dress), the Raven Crown and Sword of Trongsa Penlop Jigme Namgyal and the 3rd King. Transfer to the remote Tangbi Mani village for the day by vehicle and a 45 minute walk. Spend the day viewing the Tangbi Mani Festival in an enchanting rural atmosphere. You will be captivated by the dances and costumed performances accompanied by clapping cymbals, drums, horn and the unforgettable chanting of Buddhist monks. Watch on as the dancers whirl their array of colourful brocades through the air, play local games and stroll handicraft stalls, explore around the village and visit locals at their homes. In the afternoon transfer back to Jakar. Overnight at your hotel in Bumthang. Morning visit to view the Black-Necked Cranes (winter only) before departing for Thimphu (approx 6 hrs). From Gangtey the road gradually descends into the balmy Punakha valley before climbing up over Dochu La Pass and into Thimphu. Remainder of day at leisure. Overnight at your hotel in Thimphu. After breakfast enjoy a morning hike to Tango Monastery (approx. 1 hr walk). Tango Monastery is a higher education institute for Buddhist monks built there in the 15th century by Drukpa Kunley (‘The Divine Madman’). Like many Bhutanese monasteries, Tango was built over a cave where meditation and miracles were said to take place. The monastery has no less than twelve corners and, it is said, was built in only two months – including the six temples within. On a clear day, the views of the surrounding valley and hills is amazing. In the afternoon continue sightseeing in Thimphu. Visit the School for Arts and Crafts, The National Library housing the collection of Bhutanese scriptures dating back to the 8th century, the Traditional Paper Factory and a fascinating replica of a medieval farmhouse at the Folk Heritage Museum. Afterwards transfer to Paro for overnight. Alternatively, day 13 could be spent on a day trip to the Haa Valley, one of the most picturesque districts in Bhutan. Reached via the beautiful Chelila Pass, Haa Valley is characterised by its surrounding rugged and mountainous terrain. Overnight at your hotel in Paro.